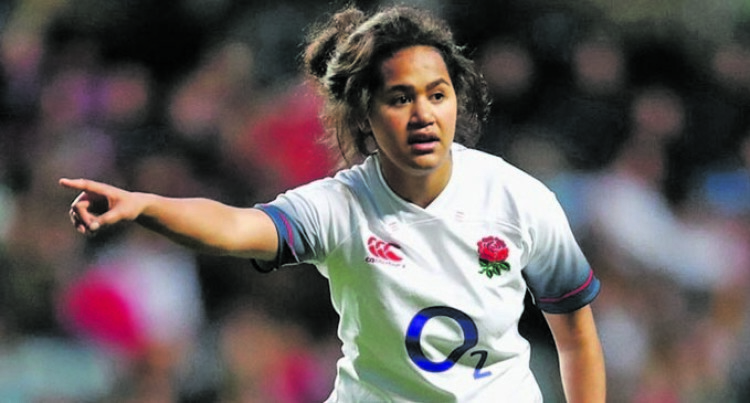 Fiji-born Lagi Tuima makes it again into the 2019 England Women elite member squad that was announced by England Women’s head coach Simon Middleton on Friday. The Bristol Bears centre says; “I was six or seven when I came over, I’ve lived more of my life here and I call this my own country that has given me a lot. “But I have nothing but good memories of Fiji, its typical sun, beaches, very much paradise,” the Oneata native from Lau told The Guardian. “Before rugby I was playing football and I thought that was the be-all-end-all. I stopped playing football to concentrate on academic stuff but then threw myself in at the deep end and started rugby and as soon as I touched the ball I fell in love with it,” she added. Tuima made her Test debut for England during last year’s 6 Nations competition. The 35-player squad includes 28 full-time professionals, the first to be awarded in the 15s game by the Rugby Football Union. Among the names announced are 2014 Women’s Rugby World Cup winners Katy Daley-Mclean, who earned her 100th cap during the Quilter Internationals in November, long-time captain Sarah Hunter, Marlie Packer and Vicky Fleetwood. They are joined by 2017 World Cup finalists Sarah Bern, Rachael Burford, Vickii Cornborough, Abbie Scott and Lydia Thompson.